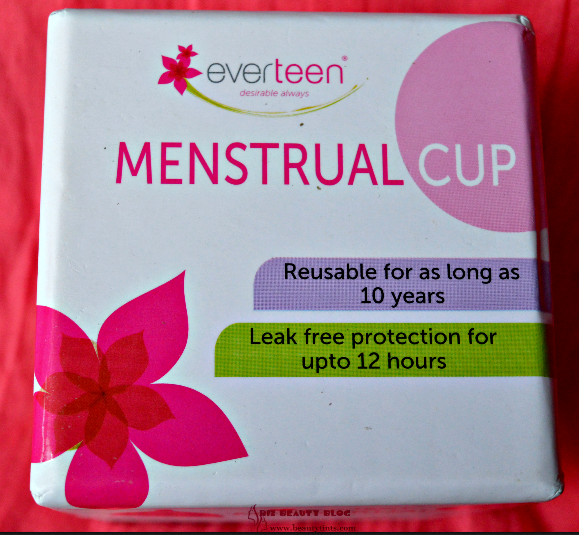 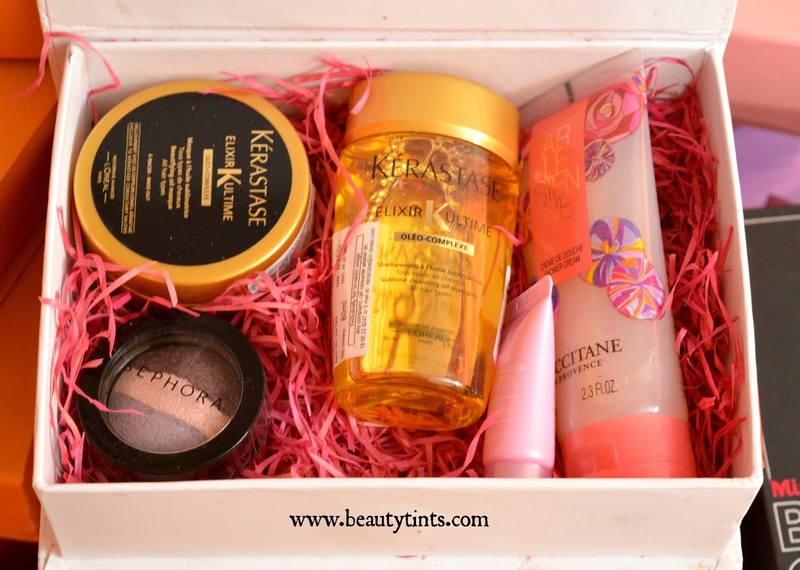 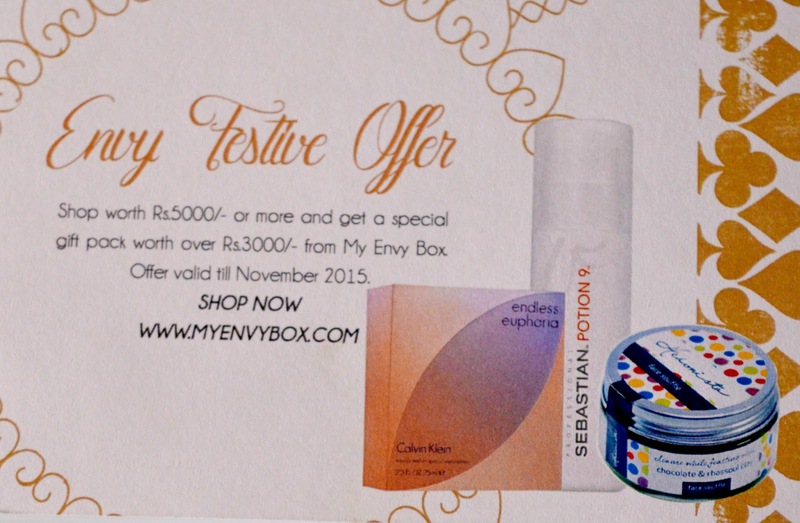 Sriz Beauty Blog: My Envy Box November 2015 Edition Review!!! 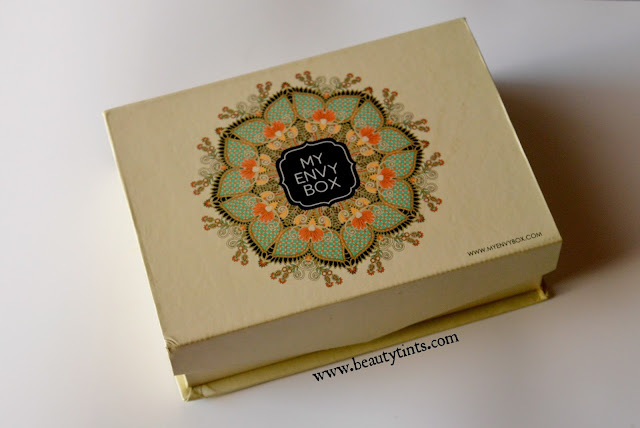 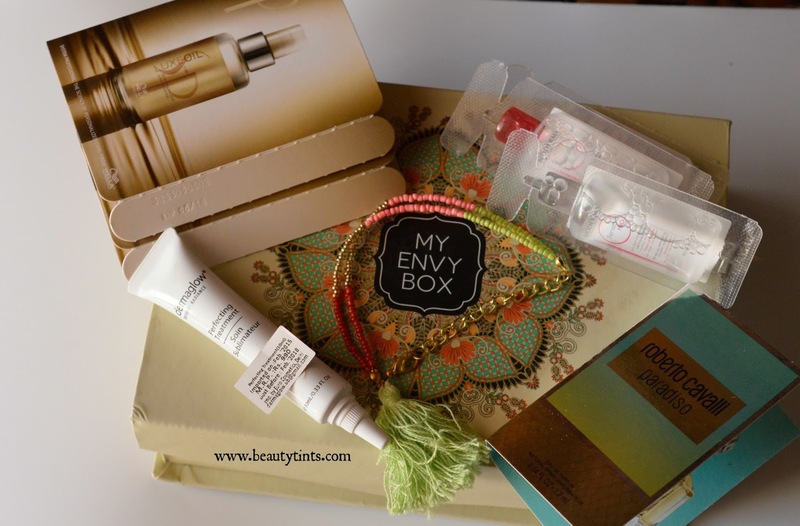 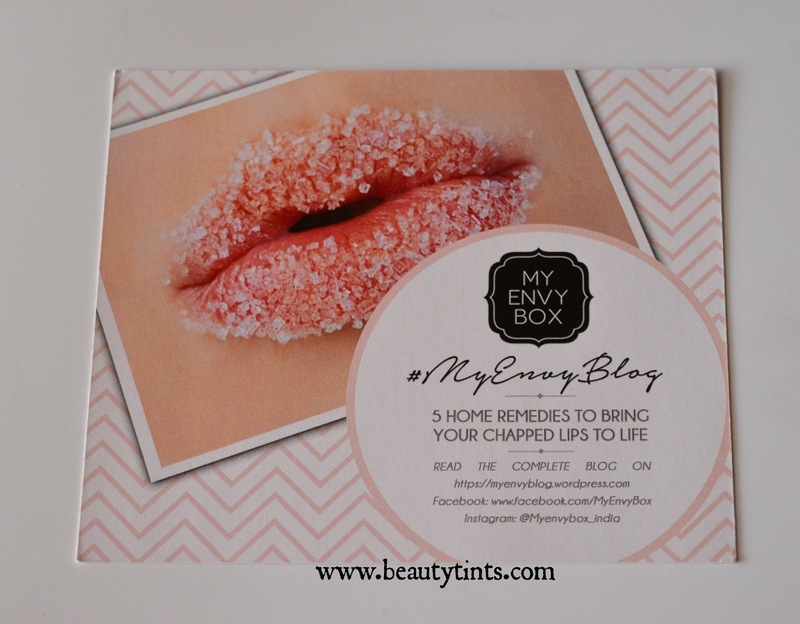 Today I am reviewing My Envy Box November 2015 Edition,which I received two days back and after seeing last month's box,I was really looking forward for some wonderful products this month!! 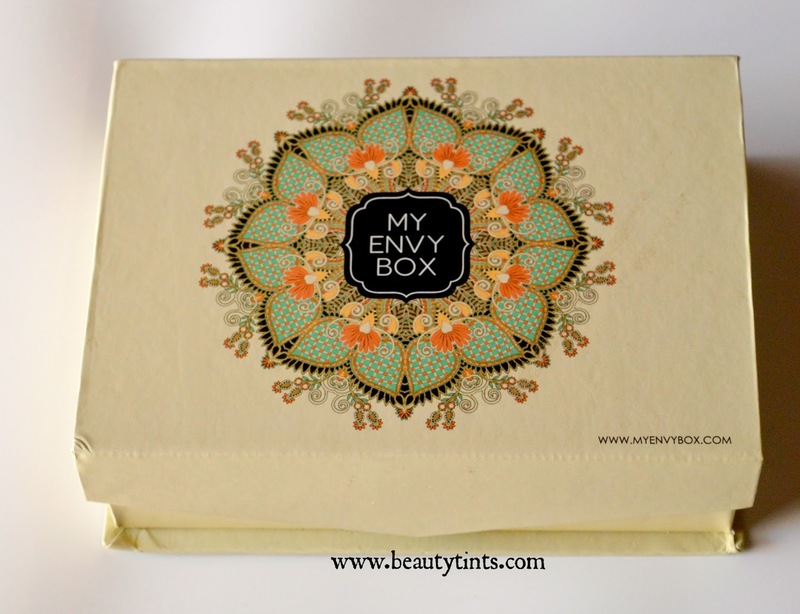 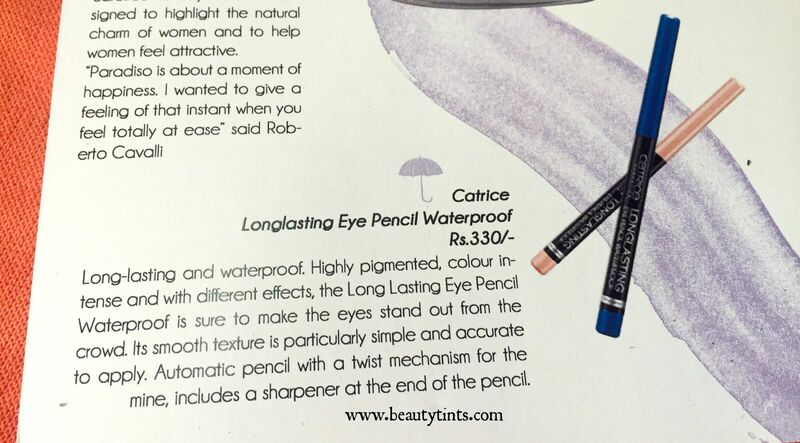 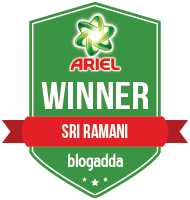 !Read on to know if it reached my expectations or not? 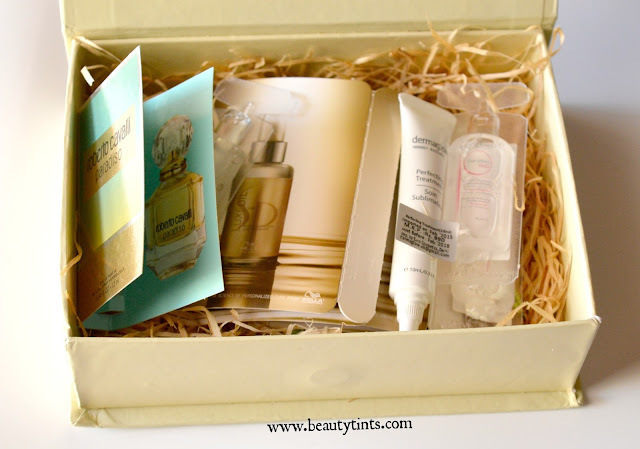 Lets See what I received in this Month's Box in detail : This time I received 5 sample products. 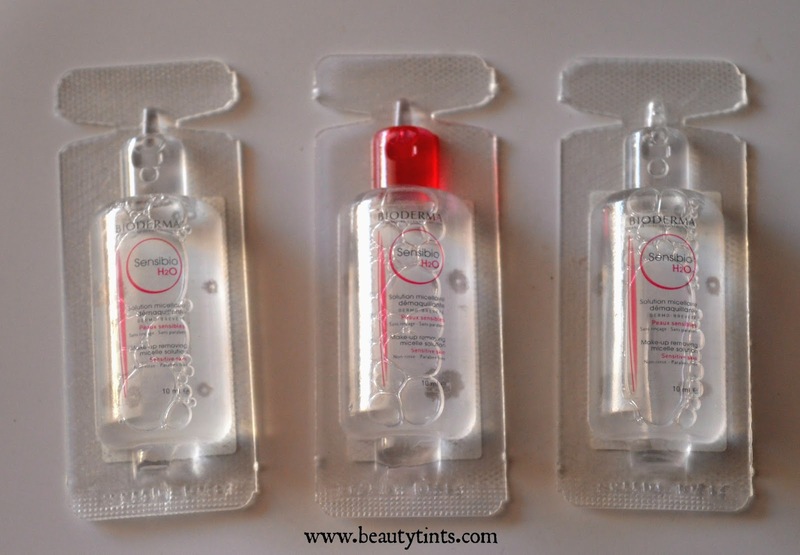 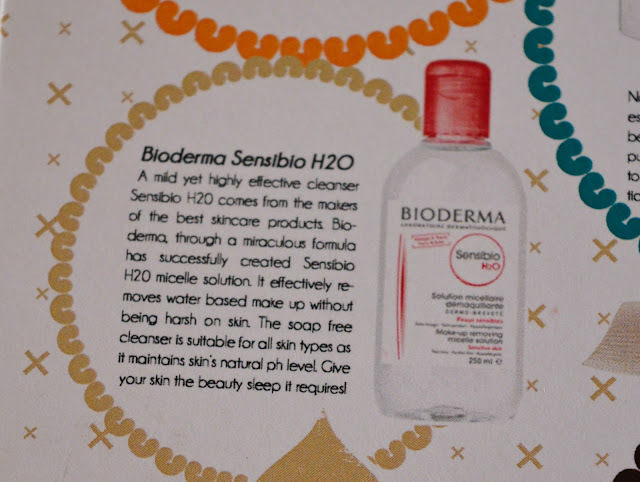 1) Bioderma Sensible H2O (3 X 10 ml) : Rs. 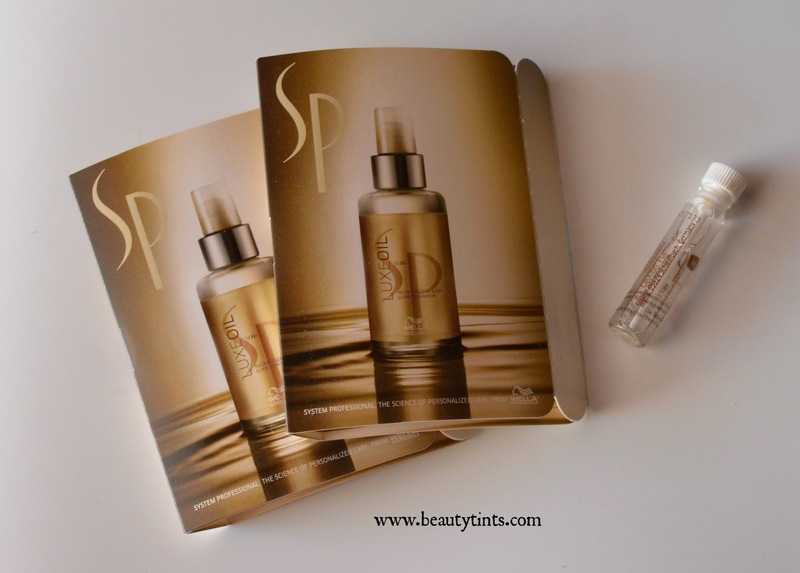 600/ 100 ml :: This was on my wish list from long time and finally I got a chance to try it.This is my favorite product from the box. 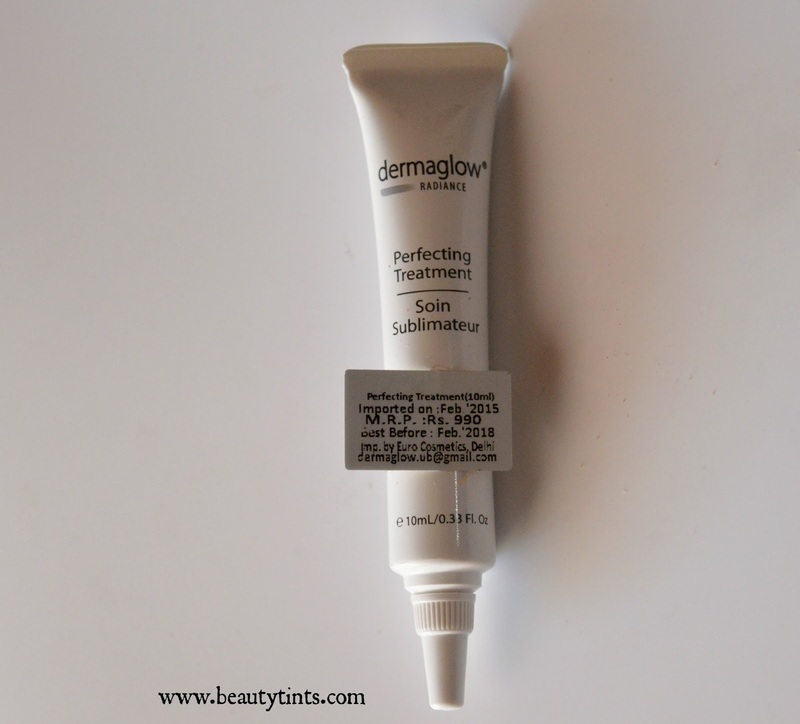 2) Derma Glow Perfecting Treatment (10 ml): Rs.990 for 10 ml :: I have heard about the brand before but never tried the products.I got this Derma glow perfecting treatment is meant for reducing hyper pigmentation and fine lines.This 10 ml will not be sufficient to know about its effect but this will try and let you know! 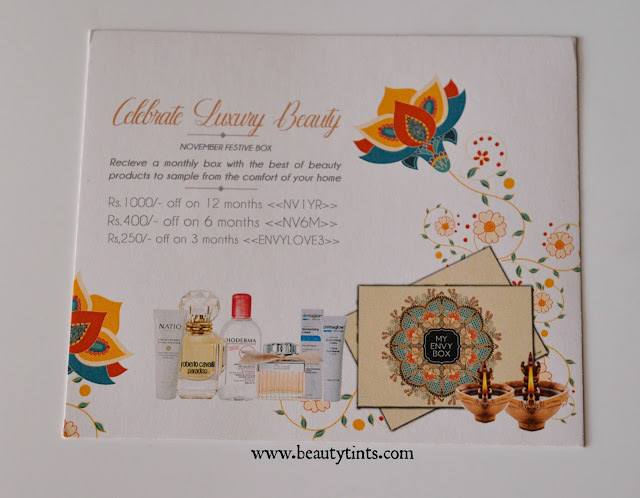 3) System Professional Luxeoil Reconstructive Elixir (2 X 2 ml) : INR 1249 for 30 ml:: This is a product from wella and this elixir provides instant and long lasting smoothness and is enriched with the goodness of Argan,Almond and jojoba oils. 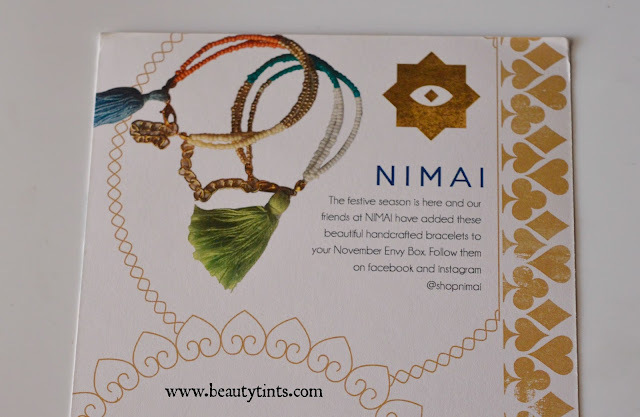 4)Nimai handcrafted bracelet : I have checked their collection on Facebook and Instagram.All their products are extra ordinary except this bracelet.it is very normal and unfortunately I received a broken one,I some how managed to join it for taking photographs! 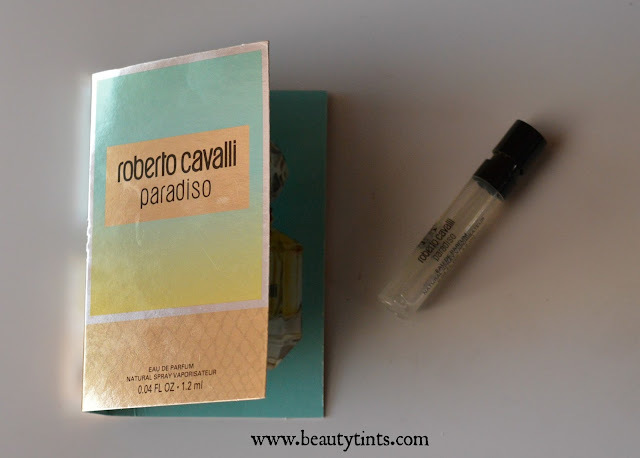 5) Roberto Cavalli Paradiso : This is a final product from this month's box and its a small vial.I received this before too and loved the fragrance and so no complaints on it. 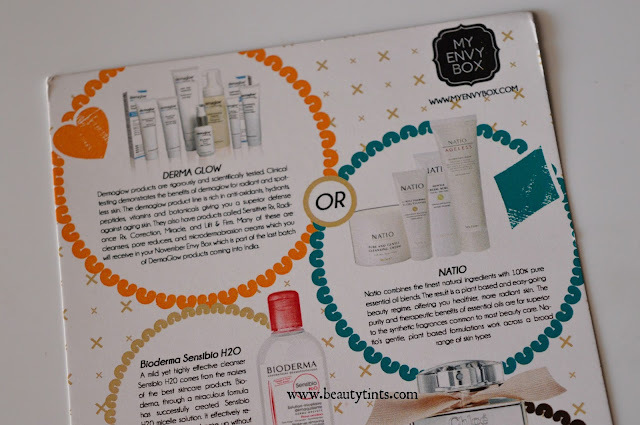 Final Conclusion About 'My Envy Box' November 2015 Edition Box: This month's box has some wonderful products from amazing brands like SP,Bioderma,Derma glow but it would have been nice if they included a decent sized samples instead of tiny ones.